The U.S. 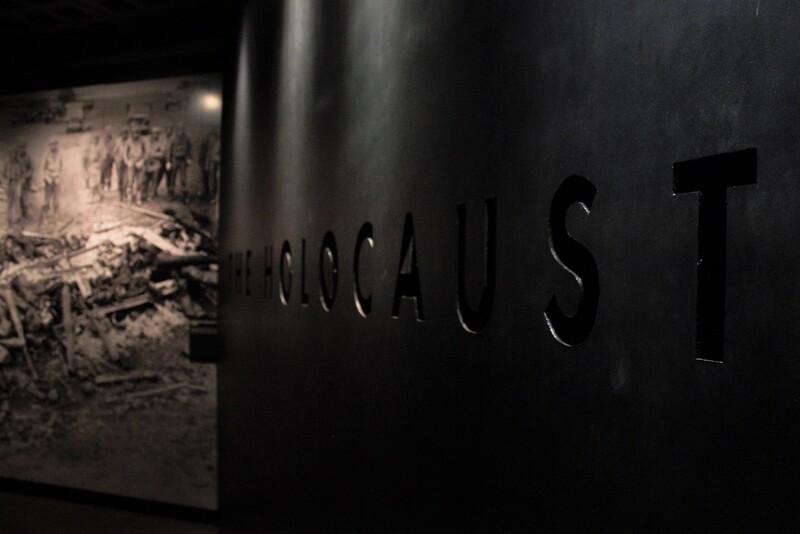 Holocaust Memorial Museum documents and preserves the memories of Germany’s genocidal campaign against Jews and others during the 1930’s and 1940’s. 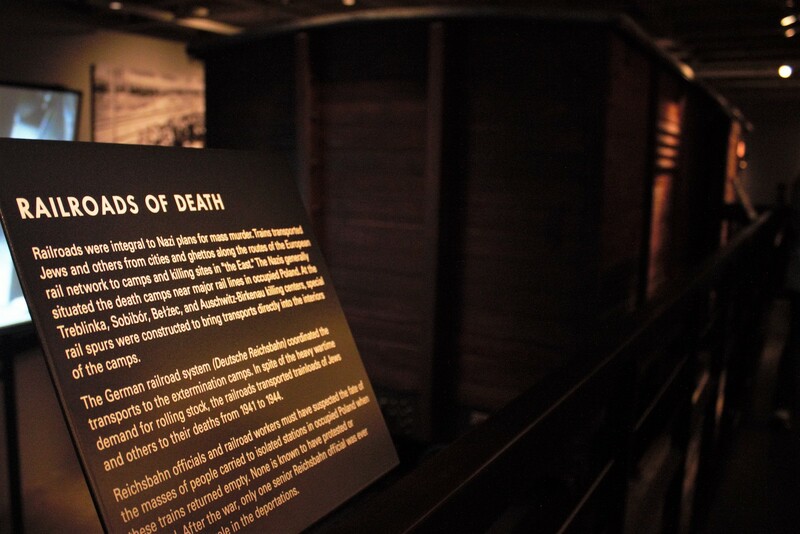 The museum also chronicles modern-day genocide events throughout the world. 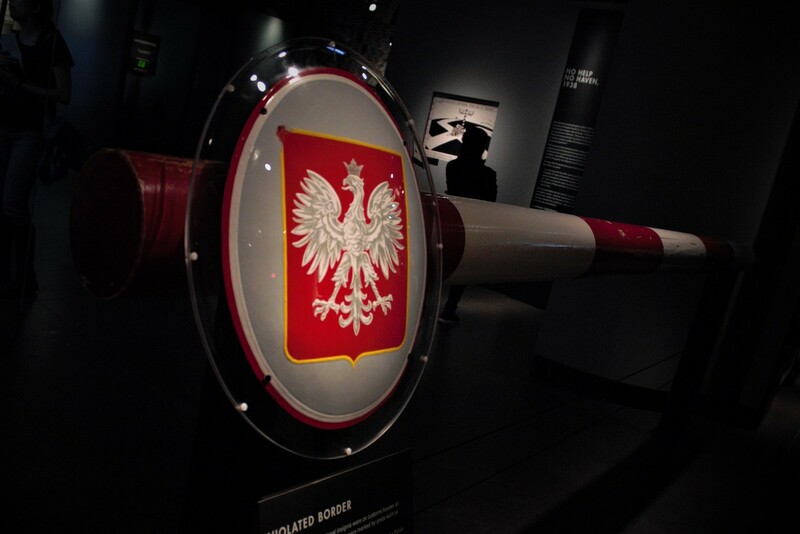 The museum’s displays are deeply personal and some of the best historical narratives we’ve ever seen. Using a combination of photos, film, audio, actual artifacts, the exhibits chronicle how Hitler rose to power in 1930’s Germany and began a systemic campaign of oppression against Jews and other minorities. 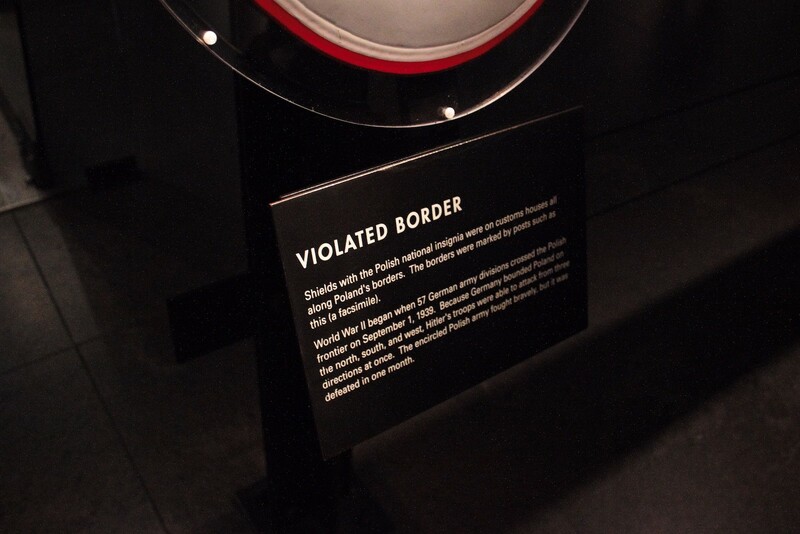 If you’ve ever wondered how almost the entire country of Germany was convinced to go along with the murder of millions of people, the Holocaust Museum explains how it happened. 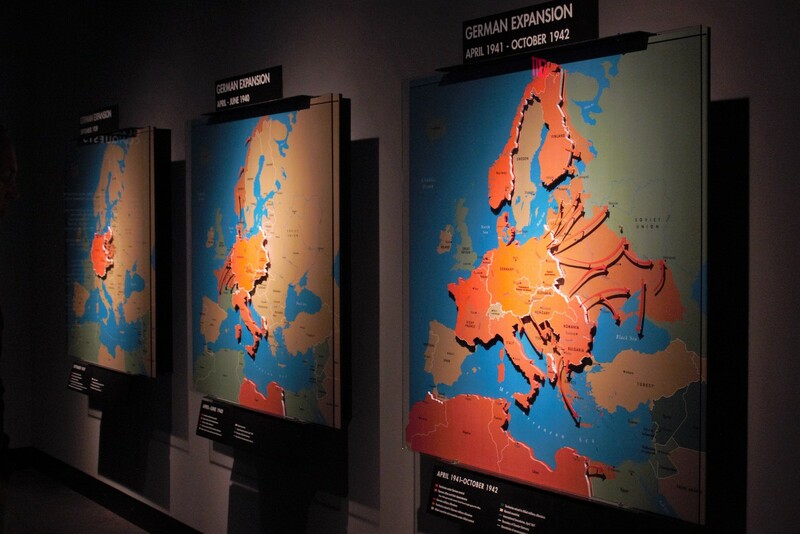 And while the Holocaust was unspeakably brutal, one of the most disturbing (and effective) things the museum shows is how, step by step, the German people were convinced to go along with Hitler’s plans. 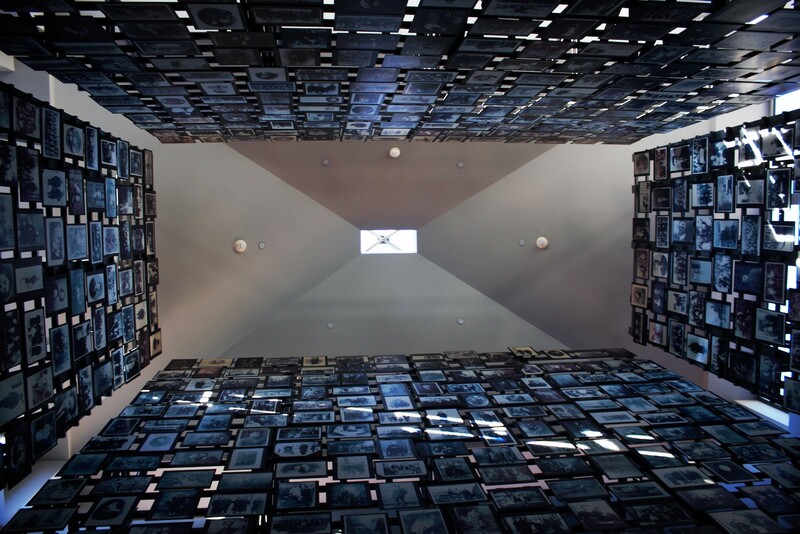 If you’ve ever thought, “That couldn’t happen today,” this museum will change your mind. 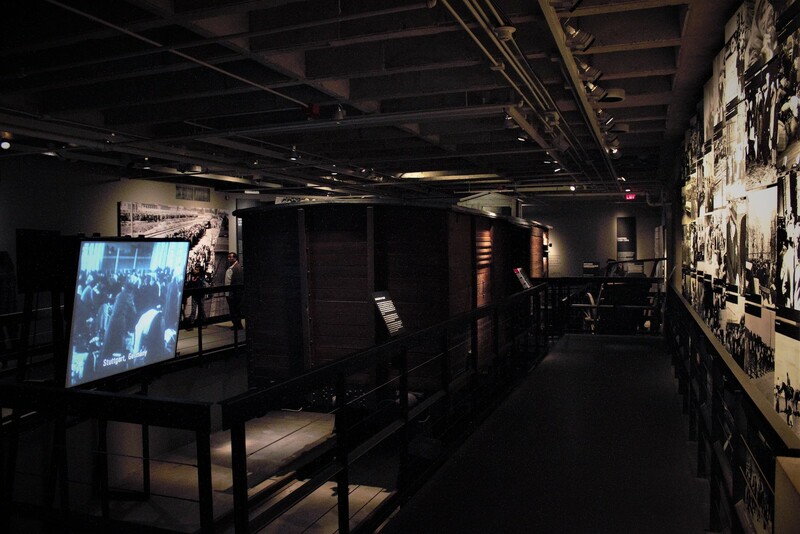 The centerpiece of the museum is its Permanent Exhibit, spread across three floors. Elevators take you to the top floor, Nazi Assault – 1933 to 1939, showing how the Nazis came to power in Germany, in large part by blaming Jews for Germany’s post-World War I problems. Once in power, the Nazis continued the persecution, using more powerful government tools, including terrorism. Along with this timeline, newspaper headlines from the rest of Europe and the U.S. show how these events were portrayed in other countries. 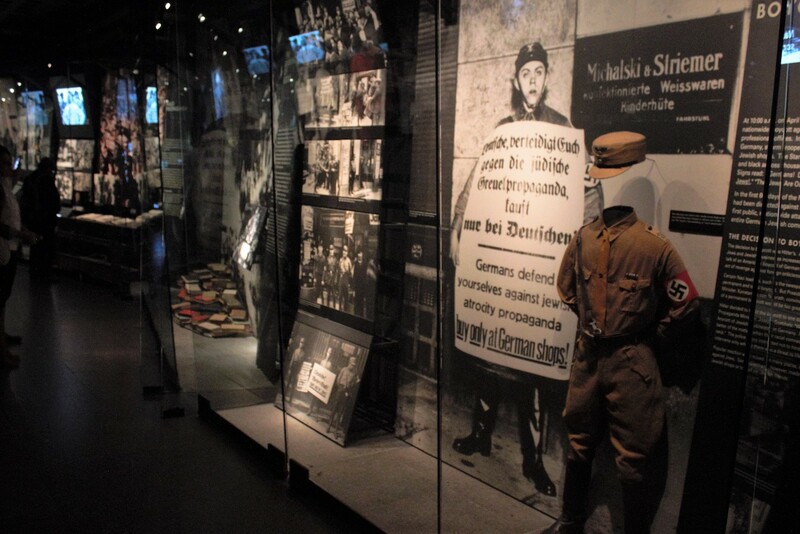 The middle floor of the Permanent Exhibits is The “Final Solution” – 1940 to 1945, showing Germany’s policies and treatment of Jews and persecuted minorities throughout Europe during World War II. 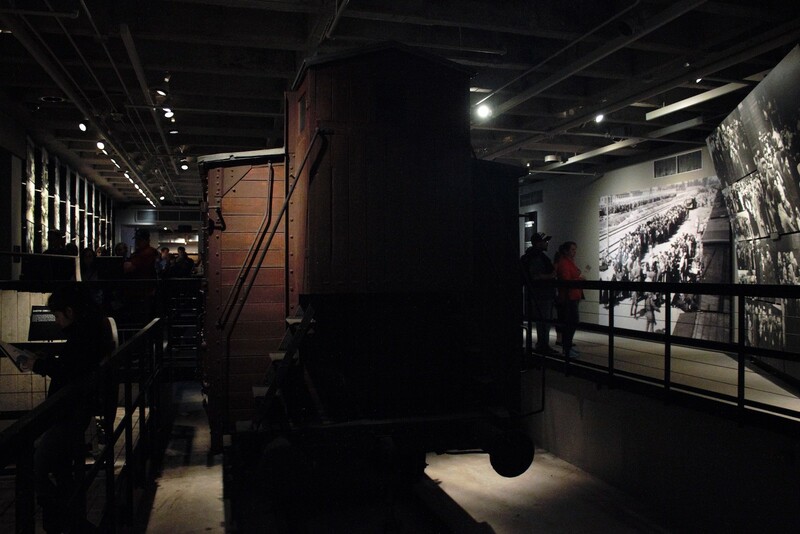 Among its many moving displays is a scale model of the Auschwitz concentration camp, which Germany built using the most modern ideas of efficiency, industrialization, and mass production; essentially a factory of death built by German engineers. 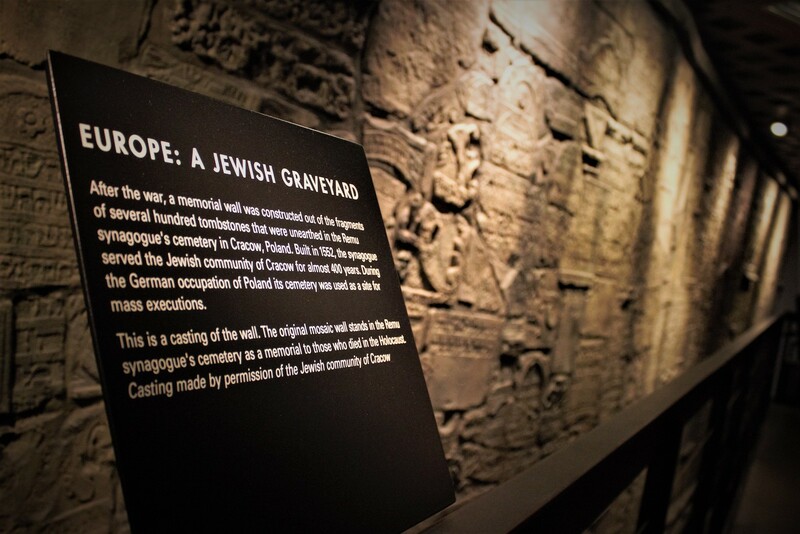 The last floor of the Permanent Exhibits is Last Chapter, covering the defeat of Germany in 1945, liberation of the Jews from the concentration camps, the quest for some measure of justice from those responsible, and the eventual establishment of Israel. Back on the first floor Remember the Children: Daniel’s Story, an age-appropriate overview of the Holocaust’s buildup and events in Germany as told from the perspective of a young German, Jewish boy named Daniel. The story starts with Daniel and his family living a fairly normal life. Then, ominous “No Jews allowed” signs start appearing in his town as the Nazis rise to power. Eventually, Daniel’s family is relocated from their nice home to a slum in the fenced-in Lodz ghetto in Poland, where life is much different. Rules such as “Give all jewelry to the police” and “No talking at work” are enforced on Jews. From there, the family is sent to Auschwitz. The ground floor contains three exhibits. The first is A Dangerous Lie: The Protocols of the Elders of Zion, a series of wall-sized screens on the history of the Protocols book. It originally appeared in Russia in 1905, and purported to describe meetings of Jewish leaders planning to rule the world by influencing the economies, media, and culture of major nations. It was soon exposed as pure fiction, based on a 19th-century satirical work about the French government (that never mentioned Jews). Still, the “exposé” spread around the world. Hitler was apparently influenced by it, and the Nazi Party published almost two dozen editions before World War II. It’s still available today. The second exhibit on the ground floor is the Children’s Tile Wall, with thousands of ceramic tiles mounted along one of the floor’s long walls. Each tile was decorated by hand by a child, depicting their thoughts about the Holocaust. 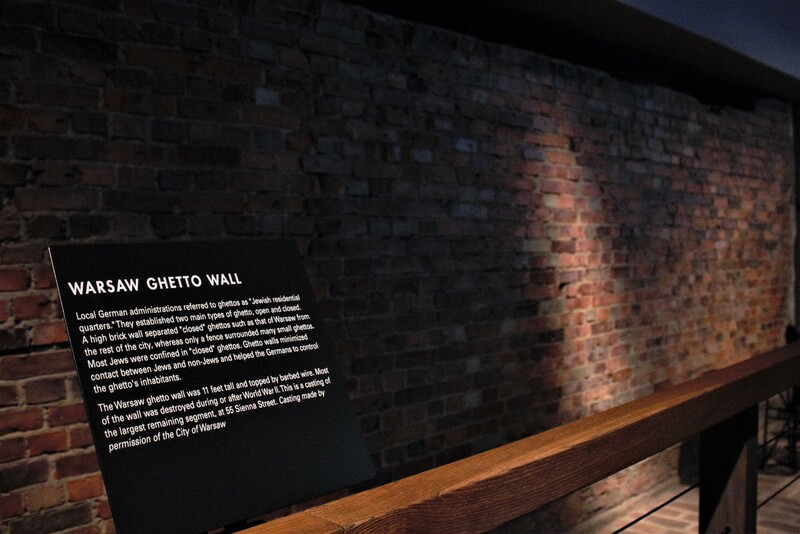 One of the best exhibits in the Holocaust Museum is Some Were Neighbors: Collaboration & Complicity in the Holocaust, the last exhibit on the ground floor. It uses personal narratives from a small group of Jews to explain how the Nazis got everyday Germans to go along with their plans of oppression and extermination. Many Germans went along out of fear, assuming that they would also lose their jobs, property, and liberty if they spoke out against the government. Others were opportunistic, sensing they could gain an advantage in business by removing a Jewish rival, or get rid of a disliked neighbor by simply calling the authorities. And some Germans were racists who supported the Nazi Party and their plans. Perhaps the most unsettling thing about this presentation is that you come away convinced that there was nothing inherently evil about the German population prior to the Holocaust; they weren’t all that different from us today, and the same techniques could allow it to happen again, the same way, almost anywhere. 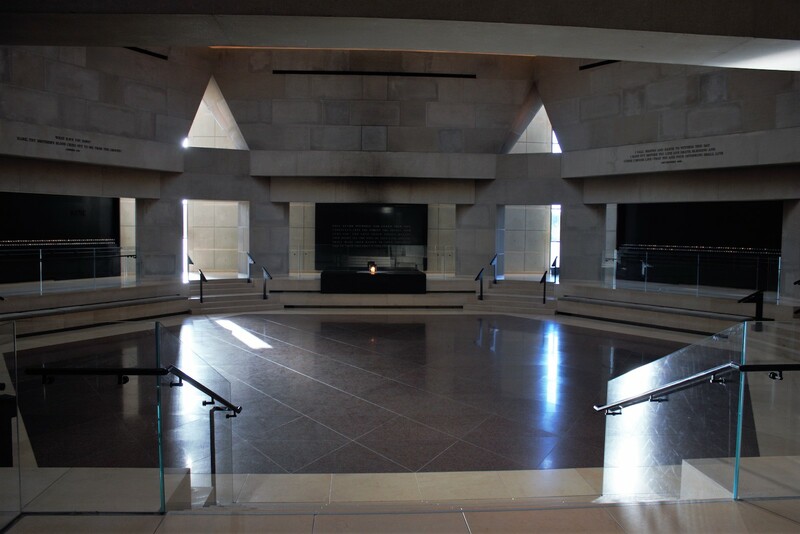 The six-sided Hall of Remembrance is a large, indoor, open, memorial space for quiet reflection and prayer. 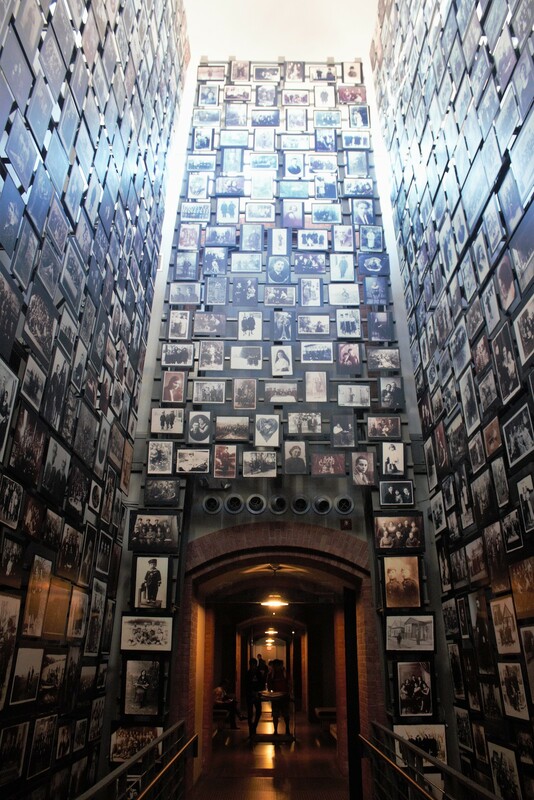 Outside the Hall is a memorial to selected Jewish resistance fighters during World War II, from France, to the Balkans, to inside Auschwitz, with flags, photos, and their stories on display. Also on the second floor is From Memory to Action, in the Wexner Center. 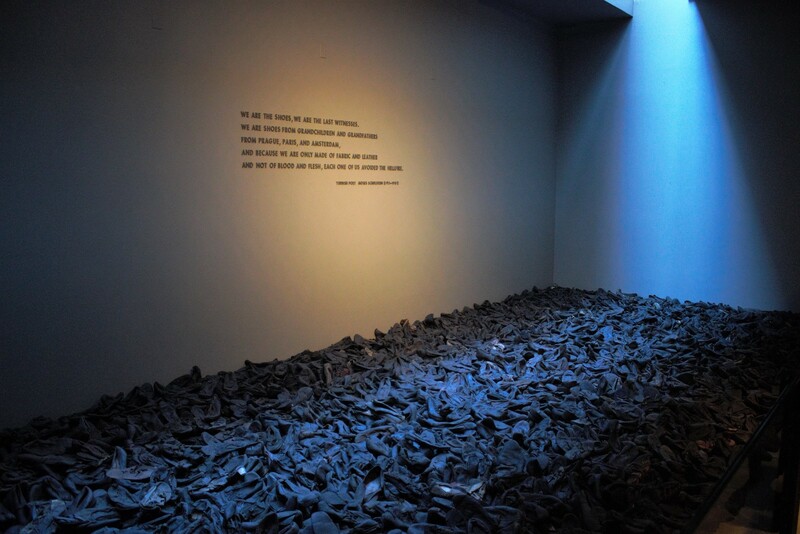 From Memory to Action covers modern genocide campaigns in Rwanda, Bosnia-Herzegovina, Darfur, and Cambodia. 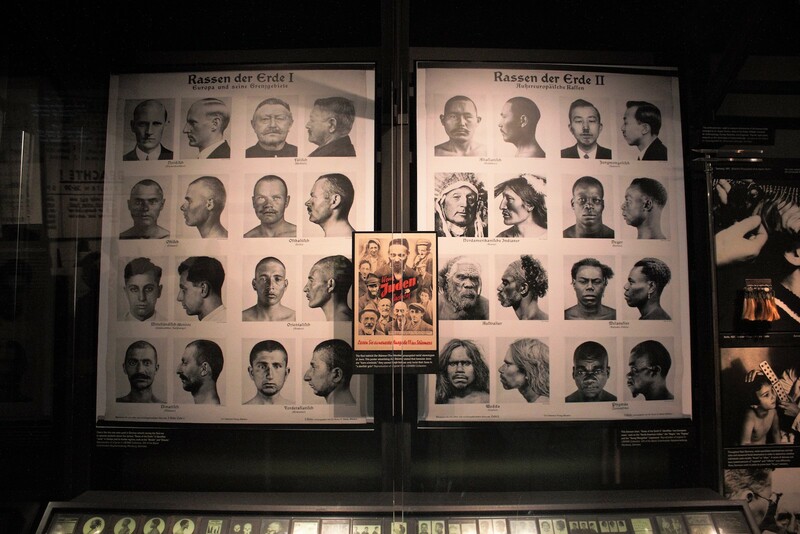 The first half of the exhibit shows similarities between these modern massacres and the ramp-up of the Holocaust: a government rises to power by blaming a traditionally oppressed minority group for the country’s problems, then begins small-scale campaigns against the group, taking away rights and property, before implementing or allowing open violence. 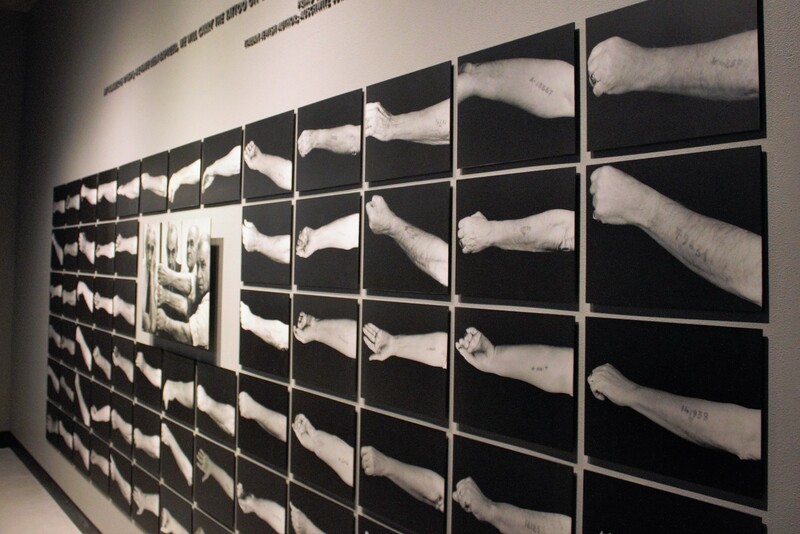 The second half of From Memory to Action documents Cambodia’s quest for justice against those responsible in the Khmer Rouge government, plus displays from Syrian refugees. 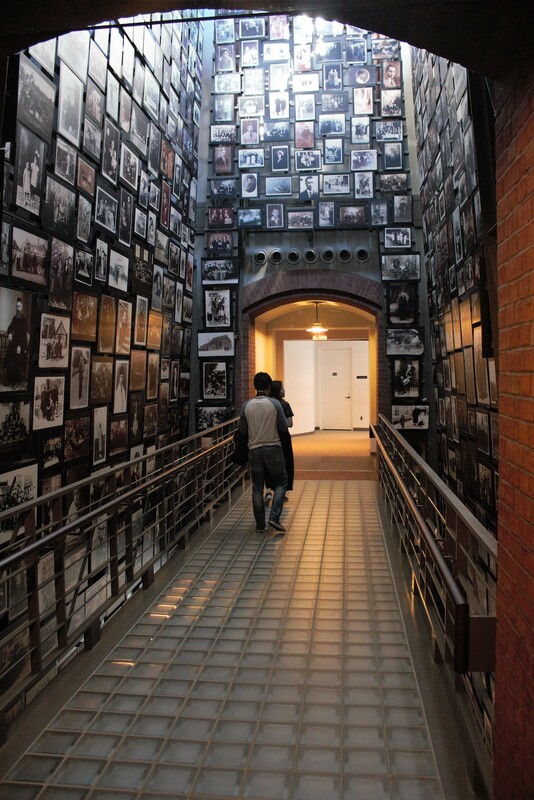 Beyond is the Holocaust Survivors and Victims Resource Center, and past that are stairs from which you can access the first and ground floors. Admission to the museum is free, but timed-entry tickets are required to access the Permanent Exhibition from March through August, when the museum is most crowded. Reserve these online up to five months in advance at tinyurl.com/USNHMMtickets, where you can also choose your entry time to the exhibits. You can also get these passes in person on the day of your visit, but may not be able to choose the time of your entry to the exhibits. 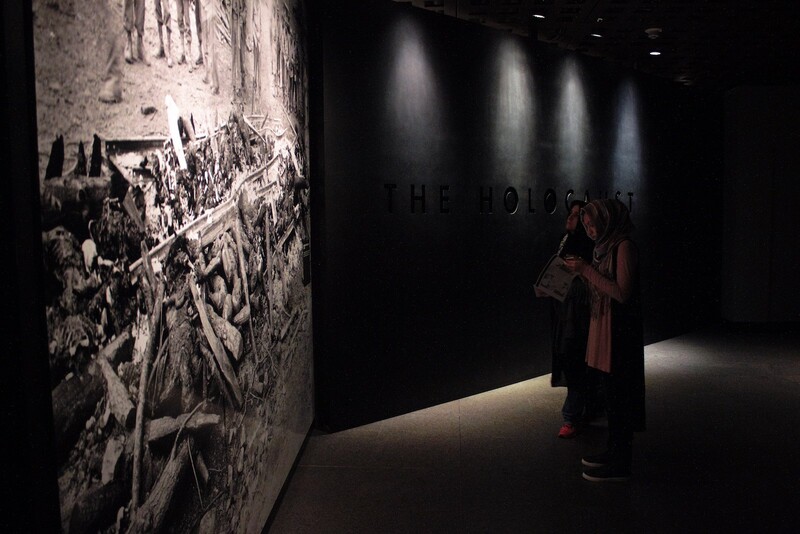 The museum recommends that children be age 11 and above to view the Permanent Exhibition, some of which contains graphic displays of suffering and death. If you’ve got younger children, a Family Guide to appropriate exhibits is available online. Obtain timed entry tickets for the museum’s Permanent Exhibition up to five months in advance on their website. If possible, request an entry time to the exhibition about an hour after your planned arrival time, to allow you to view the rest of the museum. Arrive at the museum about an hour before your entry time. Head to the second floor and view the Hall of Remembrance. Tour From Memory to Action, also on the second floor. 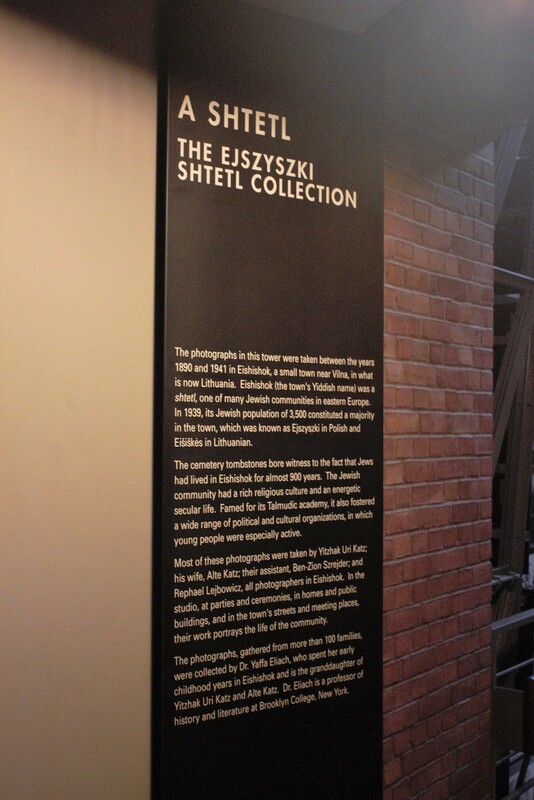 See the anti-Semitism exhibit A Dangerous Lie on the ground floor, then tour the Children’s Tile Wall. Tour Some Were Neighbors in the Rubinstein Auditorium, also on the ground floor. Return to the first floor and walk through Remember the Children if you have children. 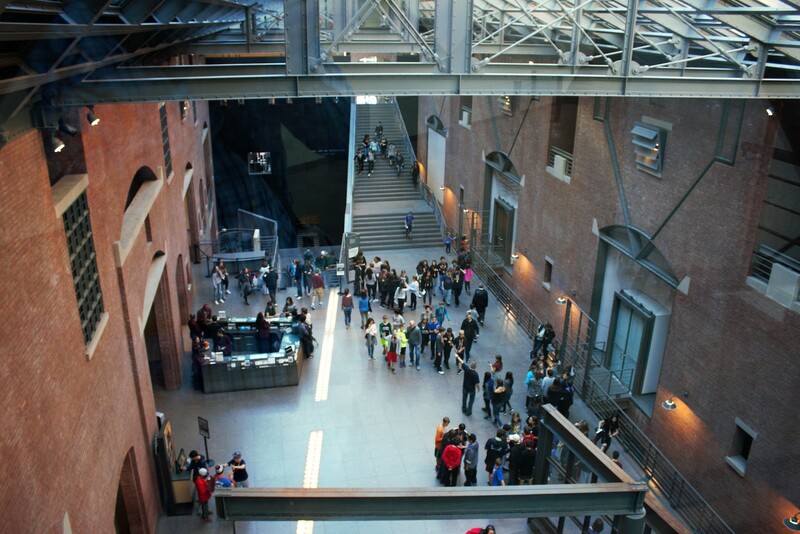 When it’s time to entry the Permanent Exhibition, take the elevators from the first floor and begin your tour. 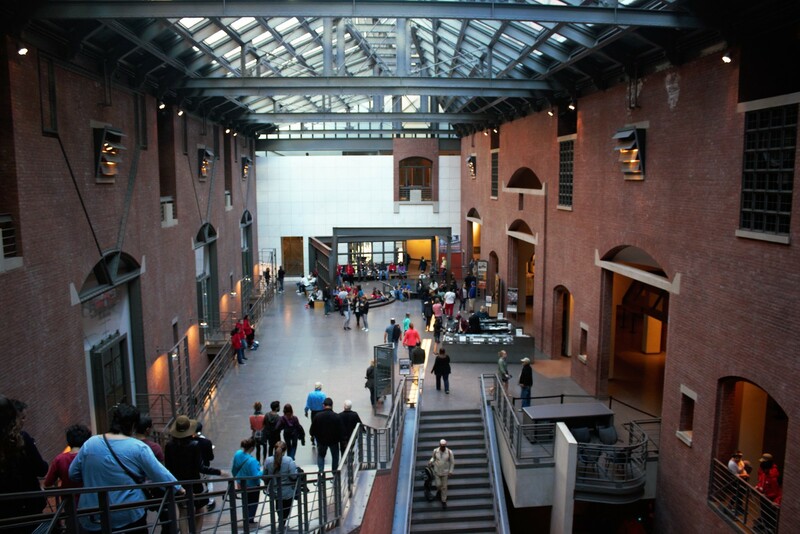 Revisit any missed exhibits before leaving the museum.